There is an old say, “when it comes to tragedy, in Italy always surfaces a prank“. Maybe it’s the better way to look at the actual condition of my country, a place where nothing is simple. We’re in the deepest economic crisis ever, unemployment levels are getting higher every day and the national government is nothing but a hostage in the hands of two parties that hate each other. Basically they have to do a lot but they don’t really know what’s needed to solve this crisis and for almost everything there’s a mined field of crisscrossed political vetoes. You see, it’s a stand-off. With three players on the field, each with a weak spot and a loaded gun in each hand. For the PdL, the party owned by Mr. Berlusconi, the weak spot is then leader himself who’s on the edge of a number of legal issues that could wipe him out of the scene. Mr. Berlusconi is also the owner of a number of media companies, some in TV business. Using a TV frequency in Italy is possible under a public agreement (a form of concession) and for our laws who hold such a concession cannot be elected. So this center-right party is quite nervous about the destiny of his leader/owner and every other day menace to step down from the national government. They fear that PD and M5S, who hold a majority in both houses of the Parliament if they got an agreement, could boost an impeachment against Mr. Berlusconi. Again, it’s a stand-off. The PD set up a new law, still to be proposed in the Parliament, that force every party in the public arena to be legally constituted as legal subjects. That will put out of competition the M5S, whose leader Mr. Grillo already promised to stand out from the next round of general election if this law is approved. That will probably cause a national unrest, that’s what Mr. Grillo is saying. M5S got itself a lot of consensus channeling public outrage about politicians and the economy problems, so there’s a real choice to have riots if this “movement” will be put out of competition. There’s a different level of stand-off, the one inside the PD. With the pact concluded with PdL, seen as unholy by the a vast majority of its supporters, the inner war inside this party is going on full rage. Old timers against young Turks, former members of the leftist part against the one from the catholic-oriented wing, local bosses that try to get more influence and small-time sharks that are in frenzy for all this political blood. So everybody is screaming about this things and nobody is doing what’s needed to save my country. Once again, it’s prank time. They start a new party from scratch in 2009 and now they are the first party in the lower house of the Italian Parliament (and they got the third group for size at the Senate). Time to try to understand what means for Italy and for Europe the rise of “Movimento 5 Stelle” (M5S) and what they could do in the near future. 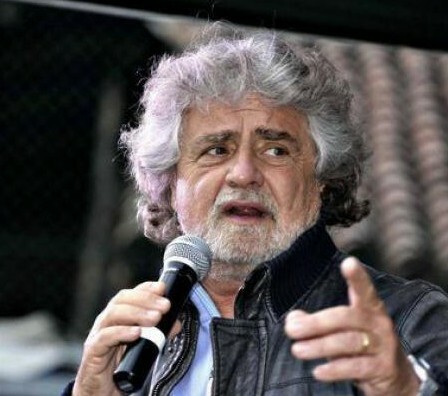 Mr. Giuseppe “Beppe” Grillo and Mr. Roberto Casaleggio are the prominent characters in this political “movement”. Both of them refuse to use traditional words like “party” for M5S, another way to remark any difference from all the other political subjects of the country. M5S starts from the meet-up groups, small aggregations of people who set up Net-based panels to discuss about political and environmental matters in 2009. The main goal was to influence on local realities such as town administrations and/or how to debate about an array of different issues like green energy, pollution, use of public resources and so on. The meet-up groups find both a way to coordinate their actions and a powerful media amplificator in the blog of Mr. Grillo, one of the most visited and most followed blogs in the world. With the decisive actions of Mr. Casaleggio, who acts as a spin-doctor with his own firm, the initial stage of meet-up groups gave way to a more articulate subject, widely diffused thru Italy and more effective when it comes to politics. Between 2009 and 2012 the M5S evolved, gaining more and more consensus and winning seats at a number of local elections. Basically they are against traditional parties and refuse to be addressed as one; there is no common ideology, the main coordinates to understand them are ecology and distrust for the traditional pillars of power (banks, industry, lobbies, the Holy See, the EU). As of 2013 they become the main actor in the national politics. 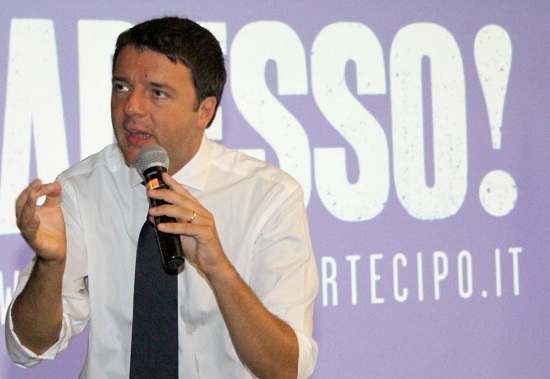 M5S lacks the basic structures of a party, there is almost no hierarchy at all. The main idea is that the instruments available thru the Web are more than enough to coordinate their efforts and to act as a platform to discuss the various matters that comes to attention. 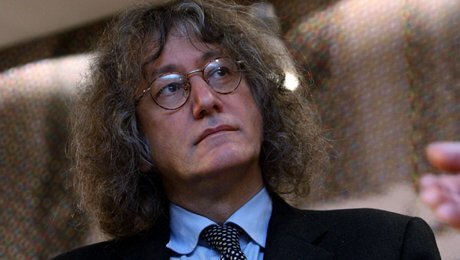 The weight of Mr. Grillo is far more heavy than usual for a party chief and the role of Mr. Casaleggio, especially when it comes to decide some strategy, is not that clear ti the public. So we got a number of issues about internal democracy of M5S, due to people who’s been expelled from the ranks without any real choice to discuss with the founder (Mr. Grillo) or to appeal for their reasons with all the others. Rules of the house are not that clear too, often some member of the movement will find him/herself under the fire without warning. Another dark cloud comes into view when you approach some of the members of M5S in the social network arena; sometimes they plainly refuse to debate or argument the issues in a way that recalls the attitude of a religious group. It’s not clear how they use money too but it’s to be reminded that they use no public money at all (M5S is against all public measures to finance political parties). Aftermath of general elections in 2013. Without an absolute majority for any party or coalition in the Senate, the political weight of M5S is enormous. In the lower house there’s an absolute majority in the hands of “Partito Democratico” (PD) and its allies, a center-left coalition, that have the relative majority in the Senate. M5S is the most voted party in the lower house (see note below) so it’s quite clear that an alliance between PD and M5S will give a strong majority for the new government. The problem is in the attitude of M5S; they build up their consensus on the base of being different from any other party and more than often Mr. Grillo is quite dashing about the leader of Pd, Mr. Pierluigi Bersani. The role of Mr. Grillo is very peculiar; he’s not been elected, he got no official mandate to conduct any political give-and-take, he already stated in the previous months that he doesn’t want any public appointment at all. So, who’s in charge? A couple of weeks from now we will have the new Parliament in charge, every group got to name its speakers, presidents of Senate and the Lower House have to be elected and every party will have private talks with the president of the Republic, Mr. Giorgio Napolitano, about the perspectives of the next government. This two weeks are all the time that’s left to M5S to decide about the future and to every other party to understand if they want to try to build up another alliance for support the government to come. My two eurocents about the future. M5S and PD could gave birth to a short-term alliance, a year or so, in order to get some common goal and to put on the right path Italy for a while. That means political reforms, a new law about election rules, about a dozen of new laws and the keeping of run-of-the-mill matters. In March is due the start of the new Parliament and between April and May the election of the new President of the Republic. There is no real alternative to this strange partnership, the whole concept of a big coalition between center-right and center-left is nothing short of a political suicide for the PD. Mr. Grillo will continue to brag about everything thru his blog and in the media, the financial advisors will learn to discriminate between his words and the actions of the government. In Italy we have two different ballots to cast for national elections; any voter above 25 years of age could cast his/her vote for Senate and Lower House, under that age he/she can vote only for the Lower House. Text under copyright – all rights reserved. Follow me on Twitter! Right here. After the results of the 2013 general elections it’s high time for the main party of the center-left field, “Partito Democratico” (PD) to grow stronger and to complete a generational change in its top levels. 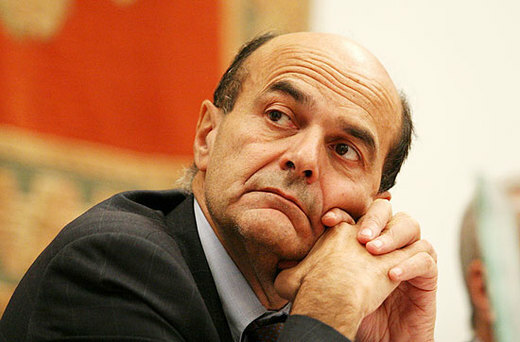 From now on Mr. Pierluigi Bersani, current party leader, will have to face the day-by-day challenges of the new national government. A number of high level and/or key assignments in the same government will be assigned to other prominent figures of the party and that gives way to a positive phase of rejuvenation inside PD. The key for the future is in a word: social democracy. The main challenge for PD is to become a modern social democratic party, an open reality where more leftist parties like “Sinistra Ecologia Libertà” (SEL) can easily connect and cooperate, a political subject ready to left behind all the legacies from the 20th century. These will be hard years for Italy, a five-year term where center-left is once again called to reform and modernize the country in order to join the top European countries (such as Germany and France) in the effort to end the economic crisis and to help the EU to grow stronger again. From 2008 italian population is forced to face a growing inflation, a higher level of unemployment, plus a general uncertainty at all levels for the aggravation of the worst problems (tax elision, tax evasion, organized crime cartels, infrastructures, school levels, public welfare). It’s like to be caught between a rock and a hard place being at the helm of a country like Italy today, where every possible effort is to be inscribed in a figure given by an enormous national debt and the agreements done with EU authorities. There will be a huge political price to pay. For parties like SEL it will be even harder to get an acceptable give-and-take between ideology and the hard reality of today. In order to face the pressure from the Holy See (not open at all on civil liberties) and the need for social issues (i.e. more money for welfare and public schools), SEL will have to connect strongly with the PD and accept all the criticism from the left-wing parties, a confused array of micro realities that are always in the need of screaming blue murder for every new law approved and/or for every voice in the national budget connected to Defense or Police forces. 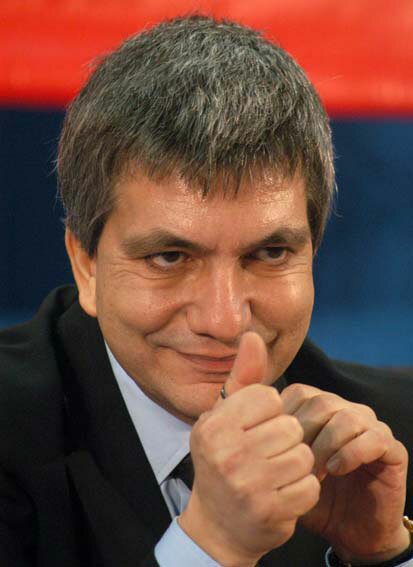 If SEL could work its way thru the national government in order to promote some of its program it will be a great victory for its leader, Nichi Vendola, and a good bet for the future of the party. Not an easy task, there will be far less money to be invested than before and every euro got to be used properly. A little role is to played by “Centro Democratico” (CD) and by “Partito Socialista Italiano” (PSI); two small parties, with little electoral base, who needs to be visible to continue their existence. Bruno Tabacci (CD) and Riccardo Nencini (PSI) are seasoned veterans of the political game and they could be very useful to attract in the parliamentary groups defectors from other parties (that happens more than often in Italy). their diplomatic work will be useful too in the next few weeks, when it will come to elect the new president of the Republic. La campagna per le primarie del centro sinistra si sta trascinando sui media più che sul territorio, lasciando un’impressione generale di discorso incentrato solo sui candidati in pieno stile berlusconiano. Cosa pensino Bersani, Renzi, Puppato, Tabacci e Vendola su un qualsiasi tema è rimasto sullo sfondo, ben lontano dalla soglia di attenzione del pubblico televisivo. Questo focalizzarsi in maniera ossessiva sui candidati stride con l’importanza della cosa. Se davvero si deve scegliere il candidato del centro sinistra alla carica di Presidente del Consiglio dei Ministri per il prossimo quinquennio non dovremmo sapere in che direzione vuole andare? Nel caso di Renzi, Puppato e Bersani, non dovremmo anche sapere cosa hanno intenzione di fare all’interno del maggior partito italiano?